My Pai Echium Eye Cream Review is about this eye cream which has caught my eye some time now and wanted to try it out. So, I will sort out some of your possible questions like what ages this eye cream is mostly suitable for, what types of skin, which skin conditions it is good for as well as its pros and cons. After some research I found some great things about this company. Pai is a company whose all skin care products are certified organic by the UK Soil Association. 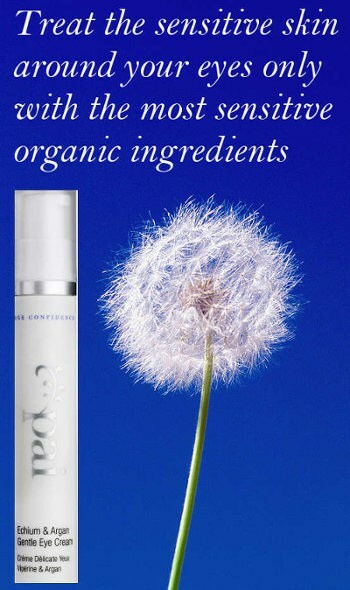 No harmful chemical ingredients are used but only naturally derived ones. Pai is a company which is well known for its expertise in sensitive skin. ‘See’ accredited and recognized for its social, environmental and ethical purposes. Adored by many beauty insiders and even more satisfied users. From the first time I checked on this cream’s ingredients, I knew that they would be totally safe for my skin. They looked quite promising and wanted to see if they would be effective. Echium. I have never heard about this before, so I made some research. I found out that Echium is rich in Omegas 3 & 6 which are good for nourishing the skin, and gamma linolenic acid which improves the appearance of fine lines and makes skin smoother. 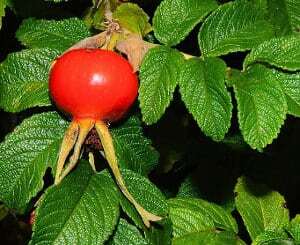 Rosehip extract. I love Rosehip. It is an excellent skin healer and is full of vitamin C which is valuable for the skin’s regeneration. Argan oil. Argan oil is a rare and expensive natural oil, loaded with essential fatty acids, vitamin E and other beneficial antioxidants. 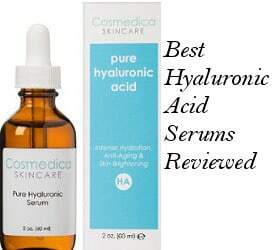 It is excellent at firming the skin and increasing its elasticity. Shea Butter. It is extremely moisturizing, soothing and nourishing. Shea Butter is rich in A, E, F and K vitamins. This eye cream has impressed me with all those natural ingredients which I loved anyway. You might feel the same by having a look at all their listed ingredients. By the first application it feels very light, non greasy and absorbs nicely. It gives a moisturizing effect and works perfect as an under eye makeup cream. It gives a refreshing and nourishing feeling and it didn’t irritate my sensitive skin at all. It generally feels like a very gentle eye cream which is rich and hydrating and makes skin smoother. After some applications, I also noticed that my fine lines have gone less noticeable, so I am waiting to see if they completely disappear. Also, my skin looks brighter around the eyes and more supple. You will only need a small quantity for each eye since although it feels light, it is a nourishing eye cream. Just apply onto the area around the eyes using soft movements and let it absorb. It can be very beneficial when your eyes feel tired, irritated, dry or sore. Which Ages Is It Best For? Pai Echium Eye Cream seems beneficial for all ages in terms of moisturizing, healing dry skin and protecting the eyes area from skin deteriorating factors such as pollution and oxidation due to aging. In cases of very mature skin though with deep wrinkles and very visible signs of aging, this cream might not be the miracle worker you might need. This organic eye cream can also be great for preventing wrinkles and fine lines as well as keeping the eyes area adequately moisturized and more resistant to aging signs. Great for all types of skin but also sensitive skin, dry, dehydrated or aging. Keeps the eyes area healthy, smooth, moisturized and more resistant to aging. Certified organic ingredients by the Soil Association in UK which is the same as USDA in USA. 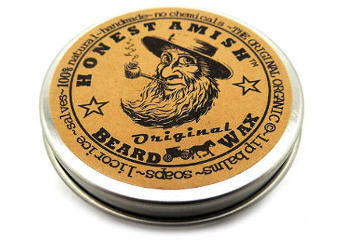 Free of harmful chemicals or GMOs. The new bottle of Pai eye cream is now a third bigger and at the same price. Pai organic skincare echium eye cream is not an eye product which was excusively launched as to treat puffy eyes and dark circles. Still, it can help you reduce puffiness and eyes fatigue especially if you apply the product right after taking it out of the fridge. Some people have also reviewed that they have actually seen lots of difference with their puffiness as well as their dark circles. People’s feedback on the product doesn’t mention anything about dealing with severe cases of eye wrinkles. What Do the Pai Echium Eye Cream Reviews Say? Overall, people seem quite satisfied with the quality and effectiveness of the Pai Echium Organic Eye Cream. They feel it very moisturizing, light and gentle. Some have mentioned that it is also very effective with tired eyes. One or two reviewers though, mentioned that they weren’t so pleased with the way the pump dispenser was working. Still, that is not the case anymore because the company has recently launched a new type of dispenser which dispenses every last drop of the cream. Overall, Pai eye cream has made the skin around their eyes look bright and healthy while it also helped them deal with fine lines. People love its smell and say that they will definitely repurchase it. Pai Echium Eye Cream has become one of my staples because, as weird as it may sound, I love using it more as a face cream than as an eye cream. 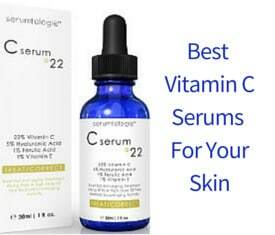 I find that it is revitalizing, light for my prone to blemishes skin, calming and adequately moisturizing. It gets so nicely absorbed that makes my skin instantly happy. The only drawback of using it as a face cream, though, is that I have to be careful not to waste a lot. That is why I use it only when I feel that my skin needs it.